Firstly let us begin by saying thank you to everyone who joined in with us last week . . we were blown away by the number of entries and loved all the projects you created using the colour combo - you are indeed very talented crafters with some yummy eye candy out there. Now the lucky winner of last weeks challenge (which was chosen by Mrs Random.Org) is . . . Please could you email Lou putting "Challenge #7 winner" in the subject line and she will get a small prize out to you ASAP. 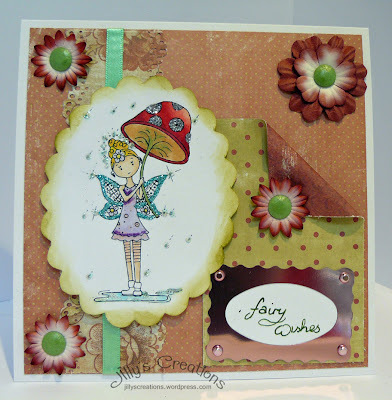 Now this weeks challenge is a very simple and has been inspired by this weeks sponsor, The Stamping Boutique . . .
Our company, "The Stamping Boutique" is dedicated to quality products and original artwork. Our designers are chosen for their character and personality,as well as, their beautiful designs. We work hard to give you our very best. Thank you so much for having us as your sponsor this week. How generous is that? Again mwah to Tracy. 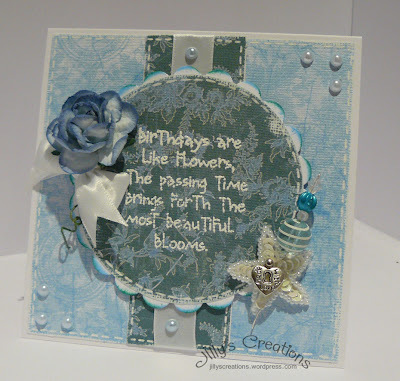 Please also do take the time to check out The Stamping Boutique's blog as all the DT there have joined in with us for this weeks challenge too. Now on to this weeks challenge . . .
"to use ANY digi image or sentiment"
We look forward to visiting you all again this week . . . hey inspiration is always needed and it's fab when you see different crafters interpretation of different themes, sketches etc . . . you get what we mean ! Firstly let us begin by saying a MEGA THANK YOU for all of you that joined in with us last week . . we were blown away by the number of entries and we look forward to seeing you again this week. Now the lucky winner of last's weeks challenge (which was chosen by Mrs Random.Org) is . . . Please could you email Lou putting "Challenge #6 winner" in the subject line and she will get your prize out to you ASAP. Who also welcomes into her a family a georgeous grand-daughter. Firstly let us begin by saying a MEGA THANK YOU to you all for joining in with us last week . . we were blown away by the number of entries and we look forward to seeing you again this week. Now the lucky winner of last weeks challenge (which was chosen by Mrs Random.Org) is . . . number 17 . . . Please could you email us putting "Challenge #5 winner" in the subject line and we will get your prize over to you ASAP. Now onto this weeks challenge which is a sketch . . . .
OK for the fun bit . . . you will get you 1 entry into the prize draw by joining in with our sketch challenge this week AND a further entry if use this weeks sketch with the added theme of "Birthday" , (because it's Lou's birthday), which means if you do both the sketch and the added theme, you get 2 entries into the draw. We are also looking for someone to join us as a GUEST DESIGNER for the whole month of FEBRUARY and if you would like to be considered please put GD by your entry . . . we are a friendly bunch, although a little scatty as times ! Still suffering from severe computer problems but she will be back folks ! Many thanks for popping over to the NEW LOOK blog for "Fab 'n' Funky" Challenges. 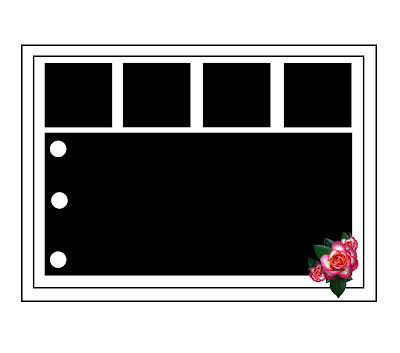 We would simply "love it" if you would grab our new look blinkie and display it on your blog . . . and . . . if we can be even cheekier . . . would you also become a follower of the challenge blog too ?!?!? Challenge #6 will be showing tomorrow (13th January) at 09.30am, so we look forward to seeing you in the morning.